Nationwide Property Solutions operates 24/7/365 providing all trades nationwide. We enable our clients to be more flexible and focussed in their own business activities whilst also reducing their own internal costs. Nationwide Property Solutions (NPS) provides a 24/7 facilities management, reactive property maintenance service, throughout the UK and Northern Ireland. We provide these services to our clients who operate in either the commercial, public or third sector.When providing these services, we offer a fixed fee approach, thus ensuring there are no hidden costs - mileage is included in the call-out. The development and deliverance of agreed innovative and bespoke property solutions and services. To support and enhance our clients' effectiveness in delivering and improving their own core business activities within their own market place. By our provision of these solutions and services, it enables our clients to be more flexible and focussed in their own business activities whilst also reducing their own internal costs." Our clients are offered, at no charge, access to our Client Access Area via a web-portal where they may add new instructions, obtain real-time updates and view quotations and invoices and even run their own Management Information reports. 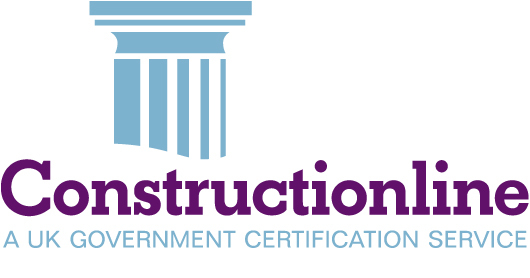 Our network of engineers and tradespersons are either CRB (enhanced) or DBS checked, and with the government works we have already undertaken, many of our engineers and tradespersons have already successfully attained the NPPV1 standard. All engineers and tradespersons carry an NPS photo ID. Please let us know if you have any specific security requirement and we will be happy to oblige. Transparency in our service delivery together with a passion and commitment to our clients set us apart from other service providers. Call us today and see how we may assist you with your property maintenance challenges. We pride ourselves on offering a genuine national* 24/7 reactive property maintenance solutions service for the needs of all of our clients; by offering bespoke soultions, both locally and nationally, we can provide a single focal point to fulfil these needs. Note: Due to NPS' extensive engineer network, there is no mileage charges for reactive services! * This includes Northern Ireland, Isle of Man, Isle of Wight and the Channel Islands (London rates may be chargeable to incorporate London Congestion Charge where applicable). We pride ourselves on our excellent client service and communication skills. Our own in-house helpdesk staff are on call 24/7 and are available to discuss any queries you may have. We have completed thousands of successfully 2 and 4 hour business critical/emergency call-outs and with our national coverage provided by our network of engineer and tradepersons, we can often attend site within an hour. Our clients can also request to have a free on-line web portal which allows them to audit every facet of their accounts with us and track in real time the progress of work orders they have placed with us. For your free powerpoint overview of our services, please call us now on 01924 433 066. There is a myriad of accepted statements and definitions on what Facilities Management is from organisations such as the British Institute of Facilities Management (BIFM), Chartered Institute of Building (CIOB), Royal Institute of Chartered Surveyors (RICS) and the European Committee for Standardisation to name just a few. We see it as being the development, maintenance and regeneration of the built environment. "The development and deliverance of agreed innovative and bespoke property solutions and services. To support and enhance our clients' effectiveness in delivering and improving their own core business activities within their own market place. This simply means that we see our service as offering you individually tailored solutions to meet your property needs, thus enabling you to concentrate on your primary business activities. If you would like more information on our service offering, please either phone us on 01924 433 066 or email us at info@nationwidepropertysolutions.co.uk and we will be happy to assist you with your enquiry. If you require an experienced Facilities Management Company contact our team today. We offer bespoke maintenance programmes aimed at assisting our clients with statutory compliance, maximising the life of their business assets whilst also reducing maintenance costs without detriment to the services being delivered. It is well documented that a robust planned maintenance regime can aid in both the reduction of maintenance and administration costs as well as the disruption caused to a business through equipment failure when compared to relying largely upon a reactive maintenance regime; indeed savings of around 20% can be achieved on maintenance budgets. · minimises disruption to the business during normal working hours. If you would like more information on our maintenance programs, please either phone us on 01924 433 066 or email us atinfo@nationwidepropertysolutions.co.uk and we will be happy to assist you with your enquiry. With years of experience in both providing and delivering bespoke planned and reactive property maintenance solutions for our clients, we realise that delivering and maintaining high service standards for our clients is an essential part of our business; these high standards set us apart from others. - We offer and deliver a comprehensive range of facilities management services and property maintenance solutions for commercial, private and third sector organisations on a nationwide basis. - We operate a 24/7 helpdesk operated by our own staff. - Our bespoke computerised maintenance management systems (CMMS) software offers clients a fully transparent online service. It provides them with the ability to add and instantly monitor the progression of quotations and/or orders placed with us and is offered free of charge to all clients. Our CMMS aids in reducing the internal administration costs of our clients. Our CMMS also provides for valuable statistical data from First Fix Statistics to SLA KPi's, all available 24/7. - Site risk assessments and method statements and other documents, forms, certificates and photographs relating to a quotation or work order are uploaded to the transparent viewing portal in PDF/JPEG format to assist you. - With our expertise we can advise you of the points to consider when you review the maintenance strategy for your premises and suggest the best strategy to adopt to protect the business whilst saving costs. Why not see how much money we can save you through a simple benchmarking exercise of your current maintenance expenditure we look forward to your call. 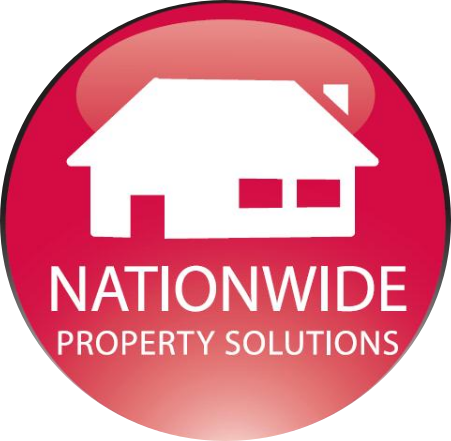 If you would like more information on our services, please either phone us on 01924 433 066 or email us at info@nationwidepropertysolutions.co.uk we will be happy to provide you with further information. We offer our clients a free 5 day no obligations quotation service; quotations are valid for a period of between 30 - 90 days. Our quotations team are used to dealing with quotation requests ranging from a few hundred pounds to hundreds of thousands of pounds. Once a client, has submitted a quotation request, they may view and track the resulting raised quotation in real time online via our web portal system through to its completion. We also offer a user friendly "approval" button to avoid delays and negate the need for the client to re-enter all the details again. For a quotation request please either email quotes@nationwidepropertysolutions.co.uk or telephone 01924 433 066 where one of our team will be happy to help you. 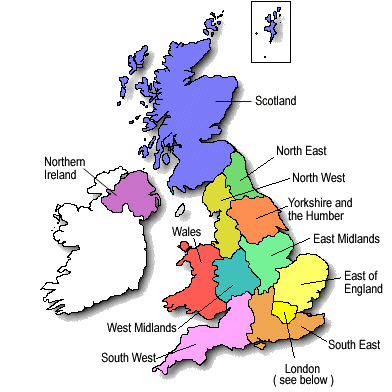 NPS have provided a true nationwide reactive service for many years 24 hours a day. All of NPS engineers are vetted and dependent upon your work type, NPS can provide DBS (formerly CRB) approved engineers to attend your work. All approved engineers to the NPS supply chain undertake a vigorous vetting process which includes Health & Safety, Insurance and should the skill-type require an accreditation (such as Gas Safe), the obtaining of relevant documentation too. NPS systems are set with the renewal dates to constantly review these criteria. NPS have a preference for SAFEcontractor or members of the SSIP schemes to enable assurance to its clients. The strength of NPS’ supply chain benefits its Clientele in that no mileage is charged. All reactive fees are based on “site attendance only” charges, even including the first hour in its call-out charge. NPS staff will have multiple options of deployment within a postcode area although will always try to ensure the same engineer re-attends should you have a fixed site. Continuity and high standards are paramount to NPS. Matters placed via the dedicated Helpdesk (operated 24/7/365) are then passed to our network. Strategic “Hubs” of engineers are located in populated areas with time-on/off (including a site signature) and Risk Assessment forms being completed with every attendance. NPS are members of the Prompt Payment Code and ensure that its network of engineers are always paid to terms. NPS’ Managing Director, Robert McTiffin has long been an exponent of ensuring the quality of a supply chain is the paying of its network on time which results in the maintaining of superior standards to the firm's end clients. Google Robert McTiffin Prompt Payment Code and you will see comments by Robert alongside Marshalls plc and Asda in support: Prompt Payment Code or look up accredited signatories to establish the pedigree of your current supply chain. Of the approximate 1792 appointees, NPS have been members since April 2009 and prompt payment is now being discussed as a criteria of being considered for central and local government contracts in the future. Robert is a Fellow of the Chartered Institute of Credit Management which operates the PPC on behalf of the Department for Business Innovation & Skills. Nationwide Property Solutions operates 24/7/365 providing all trades nationwide. Where many companies out-source its Out of Hours (OOH) services, all of NPS OOH Helpdesk services are operated by its own staff. Continuity of service is paramount from understanding the needs of a client, the most appropriate response to selecting the right engineer it is important to our firm to provide our highly valued services around the clock. Clients can choose to utilise NPS services only at night (normally a monthly fee) or ad-hoc on a charge-per-job-placed basis (this is in addition to engineer costs). In ensuring NPS staff are receiving your new instructions around the clock, our firm negate duplicate instructions and needless expense. Expert advice can be given to mitigate or reduce damage by advising relevant sites or individuals to safely shut off areas where possible (such as escape of water) prior to our engineer arriving. With an emphasis always on Health & Safety, the NPS engineer will ensure that the problem is isolated at the very minimum, often permanently resolving a problem in the middle of a night or fitting replacement parts as soon as authorised next day to be as cost effective and efficient as possible for you. Where a domestic property has been affected, with standing instructions, relevant information can be speedily passed to you to ensure the occupant is temporarily re-housed should a property be unfit for habitation or a commercial property can swiftly be boarded up following a break-in. NPS assist several utility companies 24/7 in accessing or securing properties following the smell of Gas where experience at a Helpdesk level and the strength of a true 24-hour supply chain is obviously paramount to the general public. NPS bespoke software - free to link all of your sites to your control. The majority of our clients have a central property function or a hard-pressed Property Manager trying to balance the needs of a property portfolio. NPS provide a free on-line portal to view all sites 24/7/365, including the placing of jobs and quotes, viewing every facet of the an account, both live and historic. Signed worksheets, risk assessment forms, time on/off site, invoices as well as relevant pictures and RAMS are also stored on each individual record. Whilst this control on a group overview has been available for some time and is provided free of charge, NPS has now introduced an additional a second tier of access - site access. You can now provide a selection or your whole property portfolio with individual access to their own site details only. This reduces the amount of calls fielded by our clients from branches as the branches can log-on and see if a job has been passed for action. New site managers can view previous works (very helpful for on-off works such as gutter clearances) or pull off compliancy certificates such as Gas-Safe checks for their CDM records without referring to head office. Branches gain engagement in viewing First Fix Statistics and SLA response times at their site. A simple guide is available on request - all for free when using NPS fixed fee services! Group Property managers can dictate if site managers can raise their own jobs/quotes or merely have "view only" access. WHY PAY FOR EXPENSIVE DEDICATED MULTI-SITE SOFTWARE WHEN NPS PROVIDE THIS FREE OF CHARGE TO ALL ITS VALUED CLIENTELE? Among NPS many and diverse services, increasingly it has strengthened its network of Saniflow specialists. It is surprising how many Clients do not realise that the dealing with Saniflow units is normally outside of the expertise of the average plumber. With some sites only releying of Saniflow (or equivalent) units for their servicing, NPS can help mitigate any potential Business Interruption losses with the timely deployment of a correct engineer. As Macerator replacement can cost from a hundered to over a thousand pounds, a skilled engineer can often clear a blockage rather than replace. Full breakdown of a site problem is provided to a client with feedback and cost controls from site. Whilst NPS cannot mitigate your staff or general public inserting foreign objects into the mechanism of your device, it can rectify this problem in a timely and cost-effective manner.